-There is some misunderstanding of the MeissnerEffect (see HyperPhysics -with a wrong one) . In pure form it occurs below the critical field Hc1 =110Gs for YBCO with Tc=93K. Shown here on the left is a 373K sample stabilized by the attraction with its image (approximately-exact only for a semi-infinite 1.4 T magnet). Evidently it has a first critical magnetic field Hc1 larger then 1.4 T. On the right top photograph small magnets stay similarly in vertical position and stay oriented N-S. 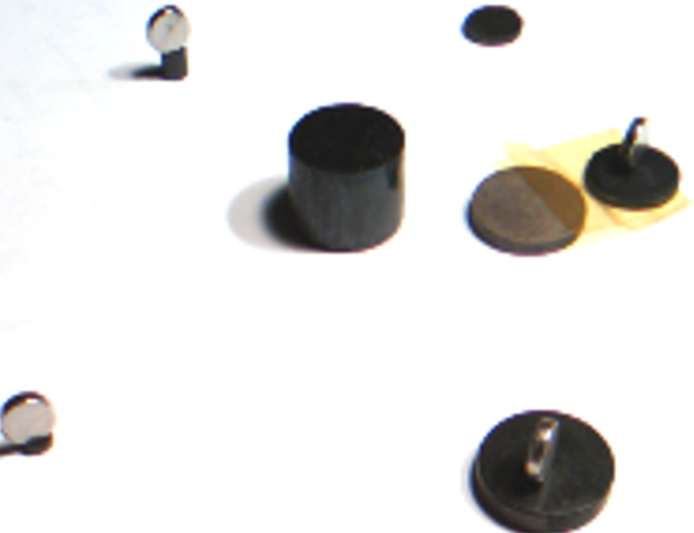 If the pellet below the small magnet is slowly turned in a circle the magnets stay along the same direction N-S and do not turn with the pellet being fixed by the attraction with the image immediately produced. 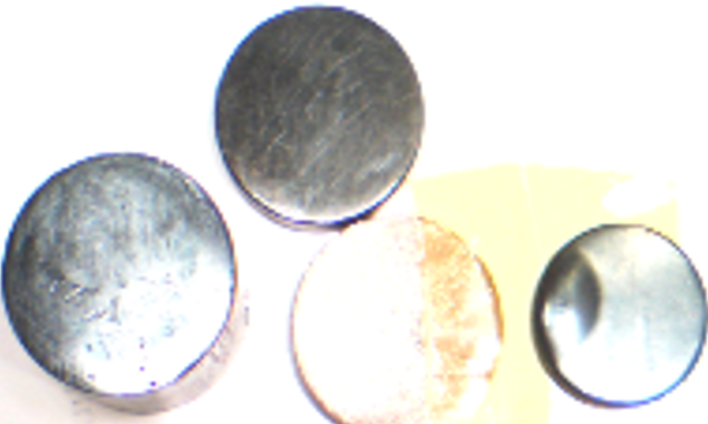 Usually the YBaCuO samples levitation is shown with strong magnets way above the rather small Hc1 =110Gs. The levitation demos for YBaCuO (Tc =93 K) include the effect of the forces arising from a complicated system of currents created by the Abricosov flux lines lattice. The top right photo has small magnets on top of 373K superconductors and one 373K superglass without a magnet with different color. The bottom right photo show 3 superconductors and one superglass ​ pellet demonstrating their reflectivity difference at room temperature ( about 300 K). The video 1-below is a THz waves generation conducted along a 10 meters long cable in front of a police detector-3-loud and long signals repeated near the end after the noise. 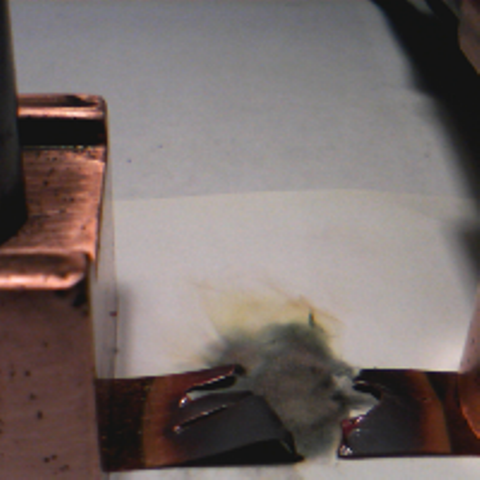 The second video - 2 is a copper tape in series with a superconductor tape of the same size. The copper tape of thickness 40 microns is blown up by a 137 Amperes current, when the same size tape of 373 K type superconductor in series remains intact.